Go the Distance – Zero Interest Credit Cards Are Back! It might just be the wave of back to school cheer, but zero interest credit cards are making a big comeback. They’re being talked about, debated, and selected as one of the hot trends of the coming fall and winter season. In the world of personal finance, there aren’t too many topics that spark wildfire like credit. Get ten people in a room talking about credit, and you will never get a unanimous decision on really anything — except that credit is contentious. There’s something that credit that tends to get us agitated, but I’ve never really known that that might be. The truth is that you have to make your own decisions when it comes to the world of credit. Just thinking that everything is going to be fine is a mistake. You might find that you need to think more about credit than most, or you need to think less about credit than most. 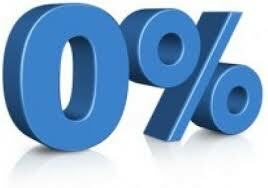 If you are always struggling with the credit you have, we have some bad news: you probably will not qualify for all of the hot zero interest credit card deals. These are usually saved for people that have pretty stellar credit. That’s not saying you shouldn’t apply, of course. You might be surprised to find just how many people are out there thinking about credit in a deeper fashion than you might have imagined. It’s a matter of looking at the future and figuring out what you want. Do you want to finally save some interest and pay off other credit cards? This would be a great move for a super saver to shave off extra interest. You need to make sure to check about the balance transfer fee as you calculate your savings. If there’s no transfer fees involved, you could have a great opportunity to save some interest. However, there almost always is some type of balance transfer fee involved. Zero interest cards can be helpful when you have a big purchase that you know you can pay back before the introductory period is over. This will help you save on interest charges as well. You do need to think about that possibility. However, there are some downfalls — you need to make sure that you’re not paying a super annual fee. There are just too many cards that don’t have an annual fee to be stuck paying one. You also need to see what the average APR will be after the introductory period is over. Don’t ignore that fact because if you do, you’ll end up paying a lot more interest than you bargained for. Some credit card companies are willing to negotiate, especially if you’ve been with one of their other cards for a really long time. It’s completely up to you to figure out what you’re going to do, and how you’re going to do it. New Secured Cards Are Wonderful! Trying to get your credit back to where it was before life’s uncertainties happened to you? Don’t worry, you are definitely not alone in this regard. I remember watching my own financial life explode. There was a point where I thought I truly had no way out. I had just lost my job, I started getting sick, and the bills were piling up. Sure, the Government helps you with the medical, and I’m right proud that the NHS is there to take care of us when we really need the m to. However, I still needed to get my life back in order after being ill. I found that creditors are actually very predictable. They would see only the bad stuff on my credit file and nothing good. I realized that it was time to take matters into my own hands. You see, you really have to make sure that you’re looking at the bigger picture. It’s tempting to believe that you should just go cash only but this is shooting yourself in the foot. If you don’t use credit, you can’t earn credit. You have to use it in order to show lenders in the future that you really are serious, that you can really handle more than enough credit, and you’re a responsible person all around. This is exactly the same reason why people want to look at your employment. Steady employment says that you’re not a flight risk, someone that’s just going to rack up a lot of debt and then bail when things get rough. There’s something to be said about going with secured cards, however. If you need to get one, you have to invest the money into the deposit account. You need to make sure that you pay the security deposit, because it will send up setting the limit to your card. For example, if you want a credit line of 300 GBP, then you have to deposit 300 GBP of your own money. It sounds like a lot, and it definitely is…but it will pay off in the long run. These companies also give you plenty of credit increases, as long as you’re willing to pay on time. They’ll slowly increase your deposit as long as you demonstrate that you can handle it. One of the worst mistakes that you can ever make when it comes to fixing your credit is to try to go and run up a large bill in a very short amount of time. That’s a red flag to the credit card company, and they might feel like you’re sliding back into your old habits. You need to make sure that you instead focus on being responsible. There’s nothing saying that you can’t use credit, but you can’t blow through your entire limit in a few days. As long as you leave at least half of the card untouched, you should be good to go. Those late payments aren’t a joke though. If you are just going to get a bunch of late payments, you might as well not even waste your time with the secured cards at all. You must make each and every payment on time in order to get things moving in the right direction. Good luck with your upcoming secured carted applications. You’ll actually find that it’s not a bad process at all. The hardest part will be making sure that you leave behind honest information (an absolute must) and you have to be able to fund the secured card’s deposit before it’s activated. That’s about all there is to it. If you’re ready to move forward, the best way to go is to apply online. Check it out now! We hate to use the term “bad credit”, but when you know that your credit just isn’t where it needs to be, you might feel like you’re fresh out of options. A lot of people actually have bad credit because they’ve had to be in the hospital or they’ve just had some bad business deals go down. More and more, people are paying the cost for past mistakes in a way that pushes them out of society. You have to be able to push aside these worries and embrace a better future. 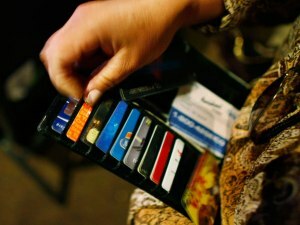 Bad credit-friendly credit cards are out there, but you have to know what these cards really mean. First and foremost, let’s end the myth that says that you’re not going to be able to get rewards. There are cashback cards designed for the bad credit market sector, and they’re not terrible. Are you going to get the same interest rate as someone that’s got near-flawless credit? Probably not. But you should take it as a sign that you won’t be in this predicament forever. You see, your credit improves as you improve. Lenders will eventually stop looking at the past once you’ve established that you’re back on your fee and you’re able to make credit payments as normal. Paying all of your bills on time is really important to make sure that you get things together in a way that just makes sense. You have to be able to connect all of the dots when it comes time to figure out your own finances. Looking online is the best way to get the right card for your needs. If you’re someone that’s going to make a lot of charges, you would do very well to go for a cashback card. You’re almost guaranteed to have rewards coming to you. If you’re someone that just wants a card for emergencies, you would be better off thinking about a card that has a much lower interest rate — as low as you possibly can. You also want to make sure that you’re getting a card that has the ability to report to all of the authorities. If you’re not getting that feature, then your credit building plan isn’t going to be as good as you think it is. Don’t forget that you’re going to want to make sure that you’re monitoring your credit rating. Just using the credit card without doing this isn’t going to do your any favors. You need to get in the habit of really looking at all angles of your credit. It’s your financial future at stake, so why wouldn’t you watch over it as much as possible? The limits for these cards aren’t going to be very high, but they are necessary to get back on the right track. The low limits are actually a good thing. If you’ve gotten in trouble with credit cards in the past, then you’ll find that this is just going to allow you to start fresh without getting out of control. Once you establish that you can handle the card, you can scale up from there. Why wouldn’t you want to check it out today, while it’s still on your mind? Good luck! If you want to own credit cards, you have to make sure that they don’t end up owning you. This means that in a nutshell, you have to understand the true rules of your credit cards. You have to make sure that you’re focusing on the bigger picture when it comes to credit cards. Are they evil? We don’t believe that credit cards are evil. As we’re fond of saying, that’s like assuming that the hammer in your shed is dangerous all on its own. That’s not a mentality that we ever want to really adopt. The truth here is that yes, credit cards can do damage…if you’re not responsible with them. If you make sure that you don’t run up your card limits and spend well under your monthly budget, then you shouldn’t have any trouble. Look, everyone knows someone that has lost their job suddenly and had no recourse but to run up a lot of credit. That’s one situation that’s growing, and that’s a real shame. The truth is that you want to stave off the need to use credit by really investing in yourself. Before you eye something shiny or pretty for your collection, you need to be thinking about the emergency fund at all times. You have to be thinking about the type of life that you ultimately wish to cultivate for yourself. This brings us headfirst back into the world of credit cards. You have to think about why you’re using the credit card. Are you trying to live a lifestyle that’s well beyond your means? Then you definitely want to avoid credit cards. Otherwise you’ll have your own credit card horror story, and that’s not something that we would wish on anyone. It’s better to really think about the type of credit that you want to have, and then build that type of credit history. Paying your bills on time has to be one of the top reasons why some people have great credit, while others don’t. You can’t assume that you’re going to be able to build a high credit score if you can’t even show the lenders that you can pay your bills on time. That would just be horrendous, and there’s no point in going down that road if you don’t have to. It would make a lot more sense to instead invest in getting better credit through properly managing your due dates. The biggest reason why most people do not have good credit is that they pay late, but they pay late because they procrastinate. You probably already have the money just sitting around at payday — why not make sure that your bills are paid right then and there? That would avoid not only the late fees but the extra interest. Interest is basically a fancy way of saying “profit for the credit card company”. And really, they’re not going to loan you their money without getting something in return. In a way, that’s the way that you need to look at credit. It’s something that’s going to affect you for a long time, so you might as well ensure that you’re not getting swept away. You might as well make sure that you’re reading the fine print. 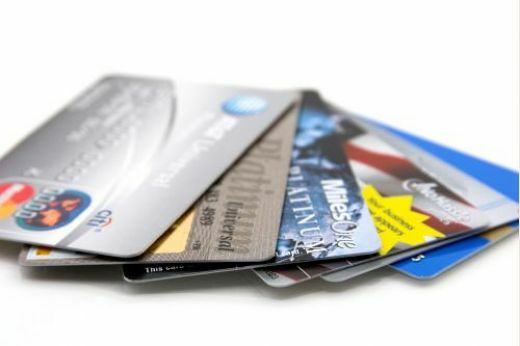 Are you itching to get a rewards credit card, so you’re applying for any one that you can get? Be careful. You might not get your rewards card at all. The credit card company has every right in their agreement to switch your card to another type as long as you qualify to have a card in the first place. In short, what this means is that the rewards card you were hoping to get in the mail just isn’t the one you will end up with. It might be a basic card with a much lower limit. Those shiny advertisements that you see in the mail and on TV are often ones that cater to people with very high credit scores. There’s nothing that says that you can’t have a very high credit score, but you have to be realistic. If you’re thinking that you’re going to magically have a top notch credit score with a bunch of late fees and even tons of inquiries on your report, you’re sadly mistaken. Keep in mind that you can have a high score at one credit bureau and a less than perfect score at the other. It’s all about who stores what information. If you try to just ignore the importance of credit, you’re going to get left behind. There’s a big debate about whether credit is even necessary. Until people have the type of savings accounts that let them put down the full cost of the house they have always dreamed of — including closing costs — then they need to maintain good credit. Do you really want to be denied your dream of a house or a car just because you skipped out of the credit system? As always, life is what you make of it, and we can only give you general advice. As long as you keep our tips in mind, you will understand more about the credit system than most! If you’re interested in rewards credit cards, you’re definitely not the only one. There are plenty of people that are definitely intrigued by the idea of getting a reward every time they go to use their credit cards. However, is that something that means that you’re always going to use these cards? Not so fast. It’s important to make sure that you look at the reverse side of rewards credit cards before you get too excited. Just as there are benefits of these credits, there are also some drawbacks. You will need to really think about the type of spending that you are known for. Do you really spend enough money on credit in order to take advantage of those rewards? 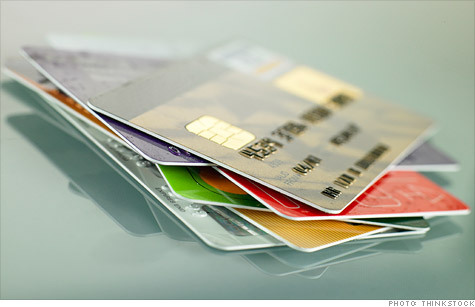 What type of restrictions do you have with your rewards credit card? Of course, we’re getting a little bit ahead of ourselves. You see, in order to get a rewards card, you actually have to apply for one AND receive that exact card type. You see, many credit card companies assume that you just really want a credit card no matter what. So this means that if you apply and your credit isn’t sufficient enough for a rewards card, they will just stick you with a general card instead. If you don’t qualify for anything, then they will send you a rejection notice in the mail. You can then look at your credit history and see what they were so focused on, but that’s up to you. 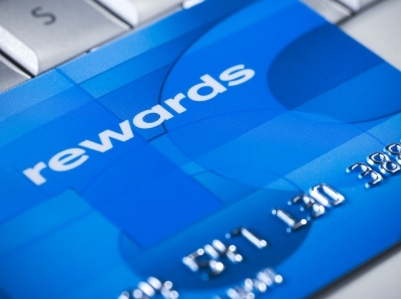 Rewards credit cards may also carry a much higher interest rate than the non-reward component. Be sure that it’s really going to work out in your favor if you decide to get these credit cards. There’s no need to feel like it’s impossible to get the credit card that’s right for you. Don’t forget that you will need to be a member in good standing in order to unlock those rewards. If you start defaulting on your account, you aren’t going to be eligible for any of those rewards that you signed up for. You can usually choose between miles or points. This is a debate that is still raging online, but the truth is that it’s about what you personally prefer. We tend to get rewards cards that focus on miles over points, because airfare is so expensive these days. Yet it’s completely up to you to figure out how you’re going to connect everything together. Rewards credit cards don’t have to be evil, but you do need to have a fair idea of how you’re going to make them work in your life. As long as you’re paying off your bill and you can handle the credit card in your regular budget with no issues, then there’s really nothing wrong with putting in your application today! 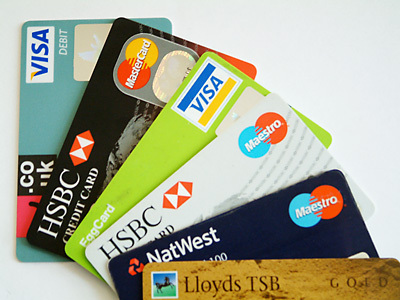 More Things You Need to Know About UK Credit Cards! If you’ve already had several UK credit cards over the years, you might feel pretty well versed in them. But things are always changing, so it never hurts to brush up on the basics. On the other hand, if you’re just trying to get your credit life off the ground as a UK resident, then this guide may have much more meaning for you. The truth is that you will have to really amok sure that you have things taken care of in the grand scheme of life. This means that you nee dot enter the world of credit with an open mind, and make sure that you have enough information at all times. Just signing your name at the dotted lien and using a credit card can get you in a lot of trouble. The first thing that you need to think about is the overall interest rate that you’re going to be paying. Keep in mind that many credit cards have multiple interest rates depending on what the money is derived from. There is an interest rate for balance transfers, one for new purchases, and one for cash advances. Knowing which interest rate applies to what is very important. Another thing that you will need to address is what amount of your payment goes to what “pool” of borrowed funds first. You might use a cash advance and then purchase new things, not realizing that you will have to make sure that you focus on the highest interest balance first. Every credit card is going to address this in a different fashion, so don’t feel like one size fits all here. That’s why it’s so critical that you look at the terms and conditions before you eve use the card. Your due date also matters. There should be a grace period involved where if you pay before a certain time, there is no interest applied to the account. This is something that a lot of people don’t think about, but it’s a good way to make sure that all of your credit cards are truly interest free cards. But a lot of people don’t have the discipline to do this — will you be different? There’s only one way to find out, of course. Think carefully about what type of credit card you get. Rewards credit cards are nice, but they have separate terms and conditions that may be in a different brochure. Be sure that you read all of the terms including the rewards boundaries. You may not be spending enough on your credit cards to really rack up any real rewards — but the promise of reward is often what gets people to sign up in the first place! 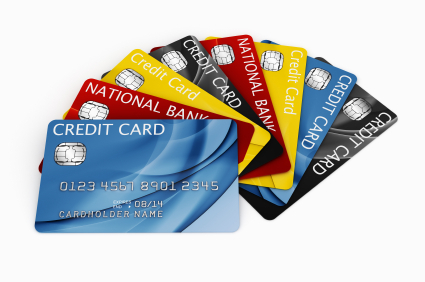 These are just a few things to think about when you start thinking about UK credit cards! Good luck finding your first one! Comparing Credit Cards at Totally Money is The Proper Way to Go! Are you looking at credit cards right now? Chances are good that you are, especially with so many different promotions going on out there. It’s never a bad idea to look around to see if you’re really paying as little as possible to pick up a new credit card. There are plenty of fees that you might not imagine would be part of the credit card experience, but they really are. For example, you might have to deal with an annual fee. So if you have great credit ratings, you really should look into getting a card with no annual fee. When you plan on spending a lot of money on your credit card responsibility, you should also look into a rewards card. That would be a great way to help pay for all of the little things that you would like to treat yourself to. What would be the point of working hard if you never do anything for yourself? If you want to really get started, try comparing credit cards at Totally Money. That’s going to give you a clear path to getting the best credit cards around. You can sort by features that you’re looking for, along with the interest rates that are being offered. Some might think that it is truly a waste of time to do all of the research first. It might take away some time from looking at promotional offers, but are they always a good deal? Keep in mind that you have to look at the fine print and think about your overall creditworthiness. If you aren’t in the top tier of borrowers, you might not qualify for that card you want in the first place; the company holds the right to switch you to a card that might not do you any real favors. It’s just a matter of figuring out whether or not you want to stay with that credit card. Studying your options is never a waste of time. Sure, you might find that you really don’t quality for any type of credit that you really want at this time. Your scores are always changing, which means that there’s always a new chance to get new credit. This is a great way to build up your score over time. When you aren’t hunting for credit, you can still make sure that you focus on getting all of your credit card monthly payments in on time — good luck! If you’re trying to look for credit cards, you have a lot of different options. However, one option that seems to come up again and again would definitely have to be rewards credit cards. There’s a reason why rewards credit cards are so popular. Everyone likes the feeling of getting something just as a bonus for using a service. When you use rewards credit cards, you’re getting miles or points that can be used towards a wide variety of times that you would get in your everyday life. However, is there a dark side to rewards credit cards? Not precisely — but there are some pitfalls that you need to be aware of. First and foremost, rewards credit cards are going to go to the top tier of cardholders — meaning the people that have near flawless credit. If you have had credit issues in the past, it is highly unlikely that you’re going to get credit now. It’s all about being able to make absolutely sure that you have your finances in order. Another point that needs to be made here is that if you do decide to go with rewards credit cards, you should know that they tend to carry a higher interest rate than credit cards that don’t have rewards. This means that you’re going to be paying extra interest charges for all of those perks. You have to do the math on your own based on your own needs to find out whether or not that’s worth it. If you are going to be putting charges on your card and paying them off in advance every month, then the interest issue isn’t that big of a deal. But if you’re like most people, you will probably carry a balance on your card and that’s where the interest can really spiral out of control. This is even more the case if you only pay back the minimum on the card — it can take you a very long time to finish that off. Speaking of paying, you want to also make sure that you don’t skip payments or pay very late, because then the credit card company can pull the terms of the card away from you. Your interest rate will most likely go through the roof — sometimes as high as 23% or more — and you will also lose the right to collect those rewards points. You also need to check the fine print and see whether or not you lose all of the points that you’ve accumulated. Rewards credit cards definitely have their place — and you will want to check them out. Just make sure that you are keeping your wits about you and everything will be just fine. Card fraud for UK citizens is a serious challenge. 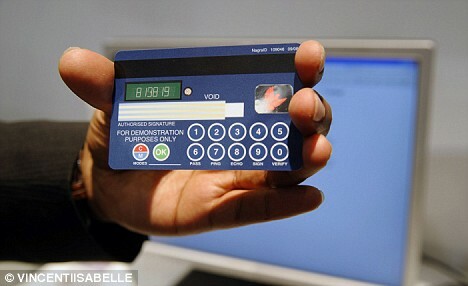 In 2011 alone, the UK saw fraud losses related to card theft top £341 million. And take it as a sign of the high-tech times that a thief doesn’t have to physically steal your card in order to gain access to your funds. The best way to fight card fraud is through prevention, so here are five simple tips that can help you guard your financial well-being from fraud. Dispose of any financial information carefully. This one is basic knowledge, but it’s worth repeating. Invest in a shredder for your home office so that you can properly dispose of any documents with your personal information or financial information on them. And find out if your bank offers a paperless billing program so that you don’t have to worry about hard copy statements. Be vigilant with your mail. Sometimes would-be con artists need only a credit card offer addressed to you to commit card fraud. And sometimes all that is necessary to get a card in your name is a few financial details, readily found on your utility bills or your banking statements. For these reasons, you should always check your mail as soon as you arrive home, and if you’ve not received a statement that you were expecting, call the issuing company to see when it was mailed. Leave your cards in various safe places. When you’re out shopping, you’ll probably need to pull your purse out often, which increases the likelihood of your credit cards being lost or stolen. To avoid this risk, make sure to take a small bag instead of a big purse that would make it more difficult to notice if you’ve lost something. Also, in case a card of yours is lost or stolen, leave your credit cards in various safe places around the house. Only take the one(s) that you’ll need on your shopping trip with you. Shop smarter online. Shopping online with a credit card can be a great convenience, but only if you know how to do it wisely. The best thing to do is to stick with well-known retailers that you know are legitimate businesses. However, no matter what web site you want to purchase from, make sure you see a padlock in the lower right hand corner of your browser screen. And for added security, make sure that the business has a working phone number and a street address (not a post office box) so that you can contact them in case something goes awry. Know your bank’s contact policies. One of the easiest ways for your bank account information to end up in the wrong hands is for you to click on a link in a suspicious email that leads you to what you may think is your bank’s online account management system. Most banks will never contact you by email or telephone, and many of them will let you choose a preferred method of contact. Remember never to give up your account details if you’re not absolutely sure that you’re communicating with a bank representative, which usually means that you contact them, not the other way around. Of course, even for the most vigilant consumers, card fraud still happens. If you experience card fraud, the best thing you can do is contact your banks, and then contact a legal representation firm, such as Irwin Mitchell, who can help you sort out what to do next.